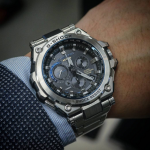 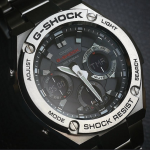 With the G-Steel line, Casio came with a new style and fresh new looks for those looking for a tough watch that is also beautiful and symmetrical, thing that doesn’t always apply to the standard G-Shocks. 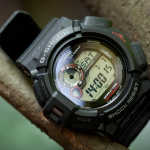 Besides the great looks and quality materials, the G-Shock GSTS110 also comes with all the sweet features for an outdoor watch. 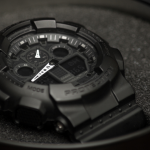 The materials used are premium. The dial window is made of the famous mineral crystal that is resistant to all sorts of shocks and scratches; the whole case is made of a brushed premium stainless steel with resin insertions that is also very resistant, although predisposed to chips if faced with a big impact. 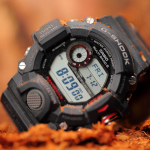 Overall this is the kind of G-Shock for those looking after a handsome tough watch suitable for both outdoor environments and formal ones. 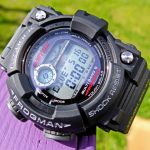 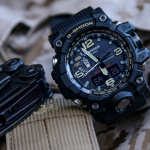 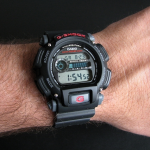 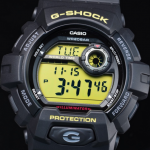 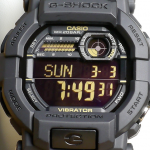 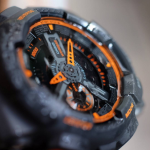 There is a more detailed review of the G-Shock GSTS110-1A here. 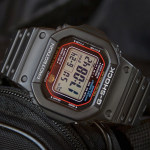 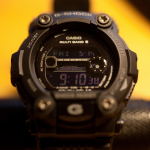 Casio G-shock G-STEEL GST-S110-1A *UNBOXING & light demo.